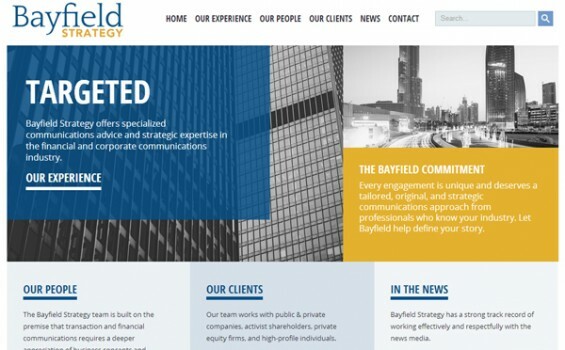 IWD was hired to design Bayfield’s new website. Starting with a blank canvas we were instructed to create a communication platform to allow potential customers to get a better understanding of Bayfield and the services they provided. 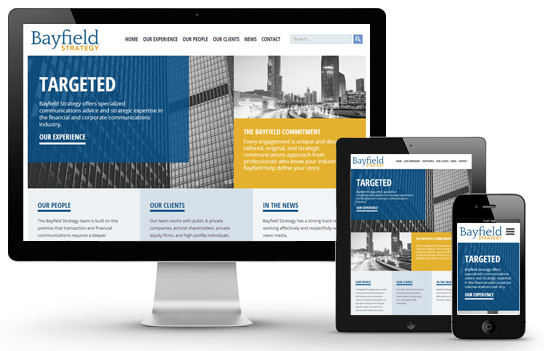 We developed an easy-to-navigate site with a responsive design for tablet and mobile viewing, a clean cut design, and bold typeface to clearly communicate the company’s key messages. The website is set up with a news feed that’s easy for our customer to update with their latest featured stories. IWD was retained to provide on-going maintenance and support.